My love affair with scarves first began in seventh grade. I religiously tuned into Wizards of Waverly Place every week, and for one sole reason: Selena Gomez's wardrobe. The character of Alex Russo is not only sarcastic and ultra-Slytherin, but also stylish. Over the seasons, the sartorial menu progressed from understated sweaters to bohemian frocks, but one remained constant: the use of scarves. You can basically say that Alex Russo inspired me to delve into the territory of scarves — a territory that can be somewhat daunting to any newcomer. Especially when it comes with how to tie scarves. Don't be alarmed if there are a million questions running through your mind — it's natural. Instead of fearing it, embrace it. The beauty of scarves is its multi-functional purpose. With a few simple twists and turns, one scarf can smoothly transition into a variety of styles. As the sweater weather and PSL season dawns before us, scarves will become our trusty accessory — defender from wind and chills and chic outfit topper. Nordstrom may have already schooled us on how to tackle scarf tying, but the YouTube world contains a sea of other options. The sky's the limit here. Check out the six hacks that will transform the way you tie scarves this season. And get ready to bundle up! I still remember the day I discovered this video in 2011. Back then, I was mind blown at the number of ways scarves could be worn — and honestly, not much has changed years later. In a mere four and half minutes, fashion blogger Wendy Nguyen beautifully captures twenty five ways to tie a scarf. From the casual cute "Bunny Ear" style to the cozy "Turtleneck", there will certainly be a style fit for you and your closet. Consider this your new scarf tying bible if you must. This helpful guide from Fleur De Force has it all — you'll learn how to tie rectangular, silk, hankerchief, and crinkle-textured scarves that are also appropiate for any outfit. There's no excuse in sitting this one out! 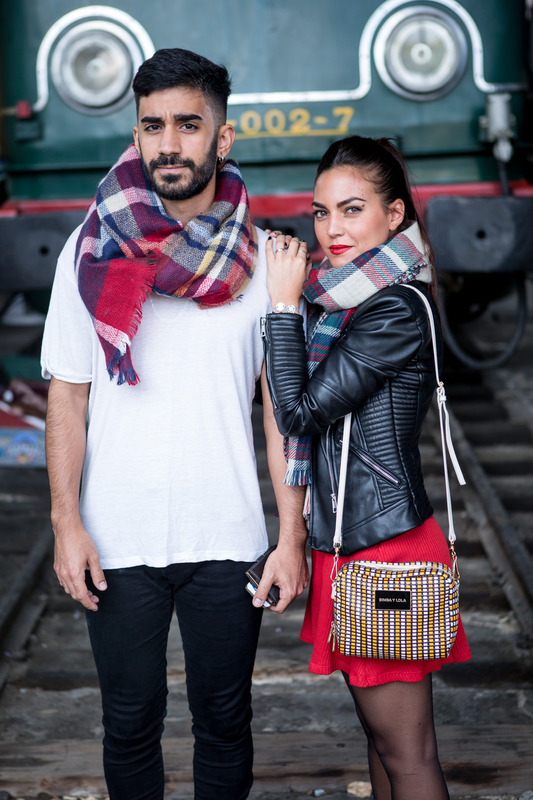 Yes, I'm not kidding you — scarves can be morphed into fashionable vests. So next time you want to switch up your layering game, play around with your scarves for a new spin on vests. Got an infinity scarf? Good — you'll be well on your way to converting it into infinity dresses, and yes, even into peplum and maxi skirts. The power of a scarf and a belt can do wonders for amping up your wardrobe game. For a dose of hair action, neck scarves can easily be revamped as headscarves. Forget about forking over those extra bucks for a new headscarf when you can just DIY one right at home! Notice a recurring theme yet? If scarves can also double as vests and skirts, then they can also be altered into kimono-style cardigans. While the wintry months may not be the most ideal situation to showcase a cardigan, keep this tip up your sleeve when the snow starts to melt. For the craftier hands out there, you can also DIY sew an old scarf into an updated kimono.